← A-HA – Make It Soon. Publicat pe 28 aprilie 2014	de Cristi M.
2 răspunsuri la A-HA – White Dwarf. OMG I was a big fan in the 80’s… Joy and I were only watching an a-ha concert a week or two ago. It was recorded in Norway about 7 years ago I think. 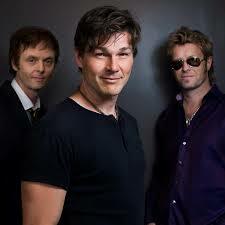 Morten can still hit the high notes. 🙂 Good luck to them! I think he can still hit the high notes, but for now they are on a break..